The DNPA did what we asked! They deferred making a decision on what they call the ‘Chuley Road Masterplan’…but only until 7th July. This plan, that will save or kill, once and for all, the Brunel gem that is Ashburton station, is in their hands so we must keep up the pressure to help them decide that the railway option is the best one for both residents, the National Park and visitors, whether they are railway enthusiasts or not. With that in mind, I have again written to the chairman of the Authority Peter harper, asking him to take more time to consider alternative plans before any decision is made. It is much better that we seek delay and continue to press to open up the discussion than have to fight against a decision that has been taken. I urge you to also write something to him in similar vein. The time to act is NOW! I note that, further to my request that you defer a decision on the Masterplan applying to this area, this was successfully referred to a later date for consideration and I would like to thank you and members for agreeing to do this. 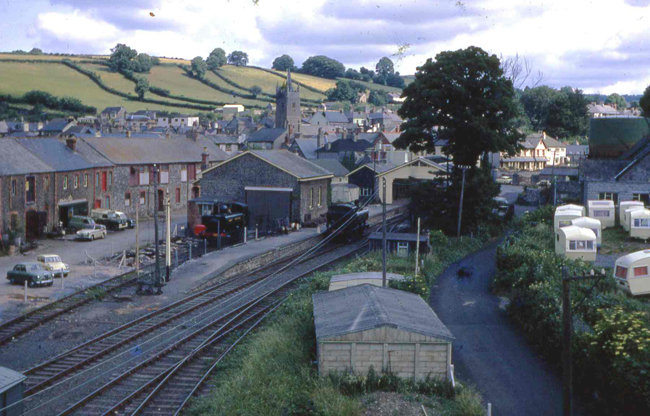 I hope that in the intervening period, other evidence can be gathered about what sort of development is in the best long term benefit of the town, in particular from the Friends of Ashburton station and the South Devon Railway about their alternative plan for the area. I have been looking at the Friends of Ashburton Station website and they now seem to have quite a clear plan of how they would, if supported by the Authority, develop the station in 3 stages. As some one who has been involved in the Heritage railway scene for many years, I know at first hand how popular steam railways are and I believe that such a development would bring a lot of interest to the town, in addition to offering a potential rail link to the wider rail network and I hope the Authority will give some thought to how this might happen. You are very lucky to have such a successful attraction on your doorstep as the South Devon Railway, whose track record of building a successful tourist business can be seen at first hand. 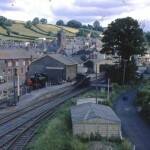 As road traffic problems continue to worsen in the years to come, an arrangement where the SDR could work in conjunction with First Great Western to run commercial train services side by side its heritage offer could be a highly successful model and worth its weight in gold for its tourist potential as well as its traffic management potential. In particular, I would draw your attention to a comment on the FoA website that the A38 overbridge at Buckfastleigh as being due for renewal and that this could be a unique opportunity to look towards building a tunnel beneath the road that would be a key element in bringing back the railway to Ashburton in due course. I would urge you to look at this opportunity before reaching any further conclusions. In summary, I would say that your consultation process has been immensely valuable in opening up a debate about the future of rail transport around the National Park and that it can only be an advantage to consider seriously and in greater detail the implications of alternative proposals. I know that your Authority works with a sense of treasuring its assets for future generations to enjoy and I hope you will eventually conclude that rebuilding and bringing new life to the exquisite Brunel era gem of a station that is Ashburton will be the best gift you can offer both to residents and visitors to the town.